I've finally started redesigning the terrain system, with some very promising result. 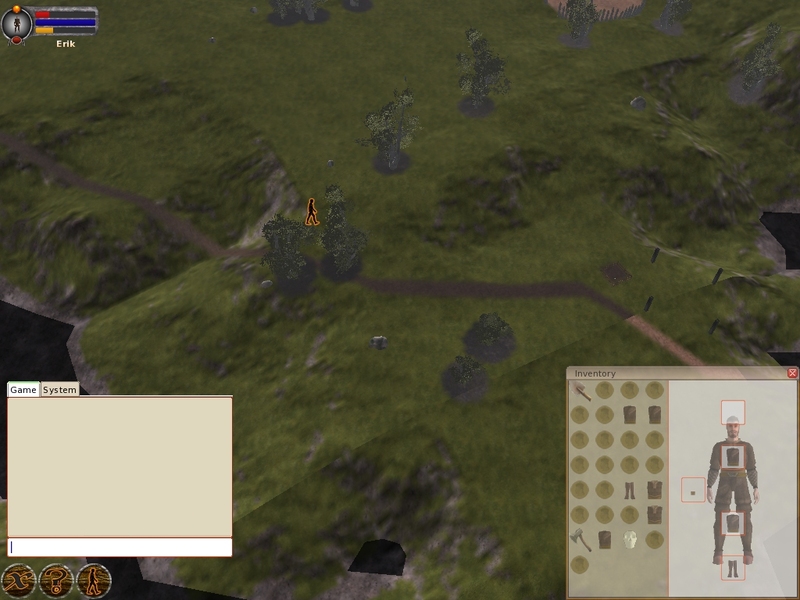 The first issue to tackle was how the shadows on the terrain were computed. Previously I left all of that to the scene manager, which used a simple vertex lit approach which didn't look good with lower LOD (and also taxed the GFX card as the shadows had to be recalculated each frame). I now have a simple shadow generation framework in place. The idea is to provide a couple of pluggable shadow providers for different shadow techniques. Currently I only provide a very simple technique where the shadows are calculated directly from the surface normals (just as vertex lightning). It already looks much better than before though, although I intend to provide some more advanced techniques later on. 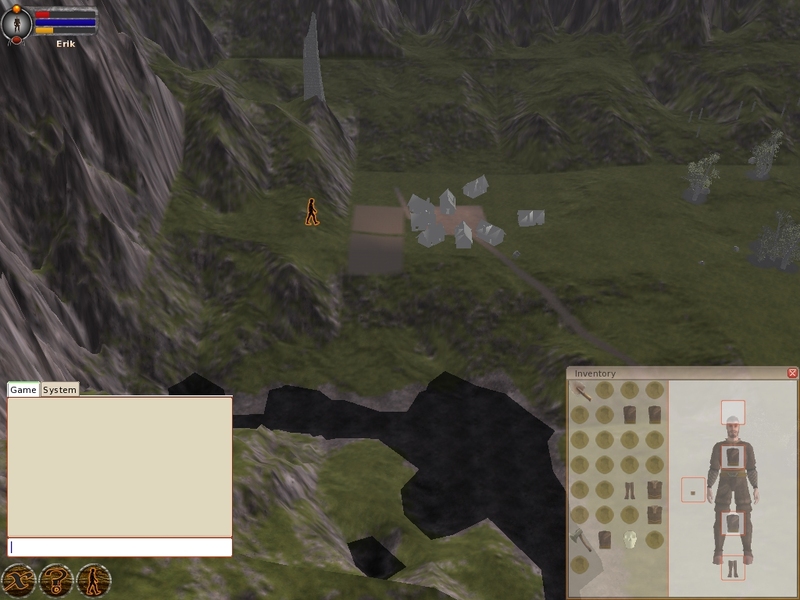 I've also started on a more thorough refactoring of how the whole terrain system works. 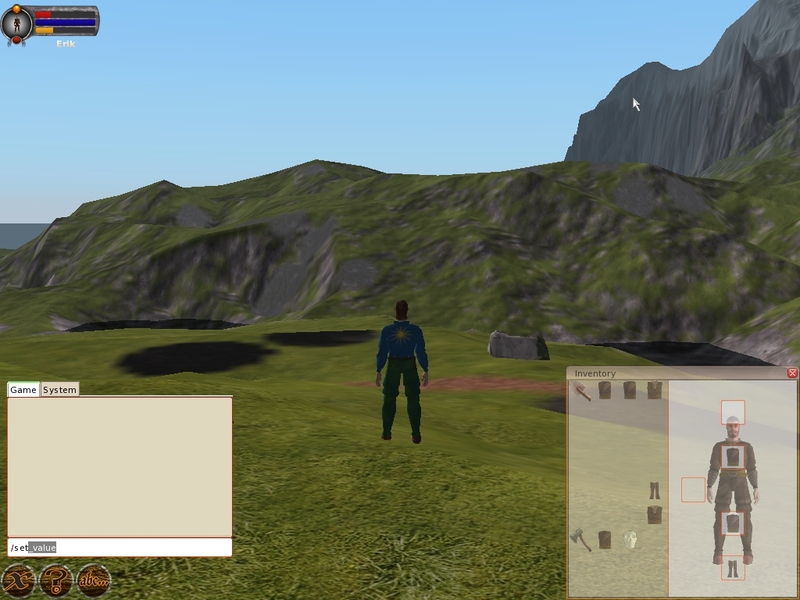 The goal is to more easily allow for more advanced features, such as normal mapped terrain, as well as being able to alter the terrain materials in a simple gui ingame. As with all refactoring the code is currently a mess, but yesterday at least I got it to compile. The blueprint for this can be found here and I've so far followed it pretty much to the letter. The material compiler works, though it's very inefficient in the way it creates new materials. Jayr have been churning out even more great looking media with a lot of new normal maps. It's a real joy to update the material definitions and see how the world comes to life when normal mapped materials are used. It's really such a big change in how everything gets depth and shadows.